Sonos have announced their third new product in twelve months: the new Sonos Amp. “The growth of the Sonic Internet – the convergence of paid streaming, the smart home, and artificial intelligence through voice technologies drives everything we do at Sonos,” said Sonos CEO Patrick Spence. 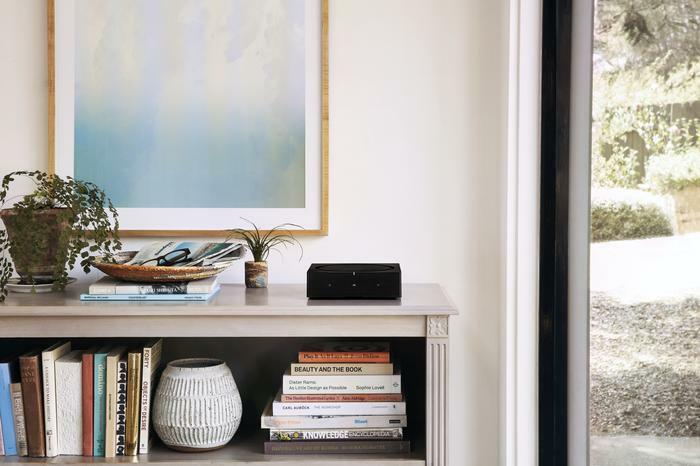 The Sonos Amp is being pitched as a "a powerful and versatile" home audio hub that powers traditional wired speakers with sound from nearly any source, and fully integrates any non-Sonos speakers into the company's ecosystem. In terms of specs, the Sonos Amp boasts 150 watts of power per channel, allowing it to support four speakers instead of two. It also features a HDMI Arc port for easy interfacing with home theater systems, plus support for AirPlay 2, line-in switching and volume pass-through. Priced in Australia at a RRP of $999, the Sonos Amp will be available to professional installers in Australia following the global launch in February 2019.